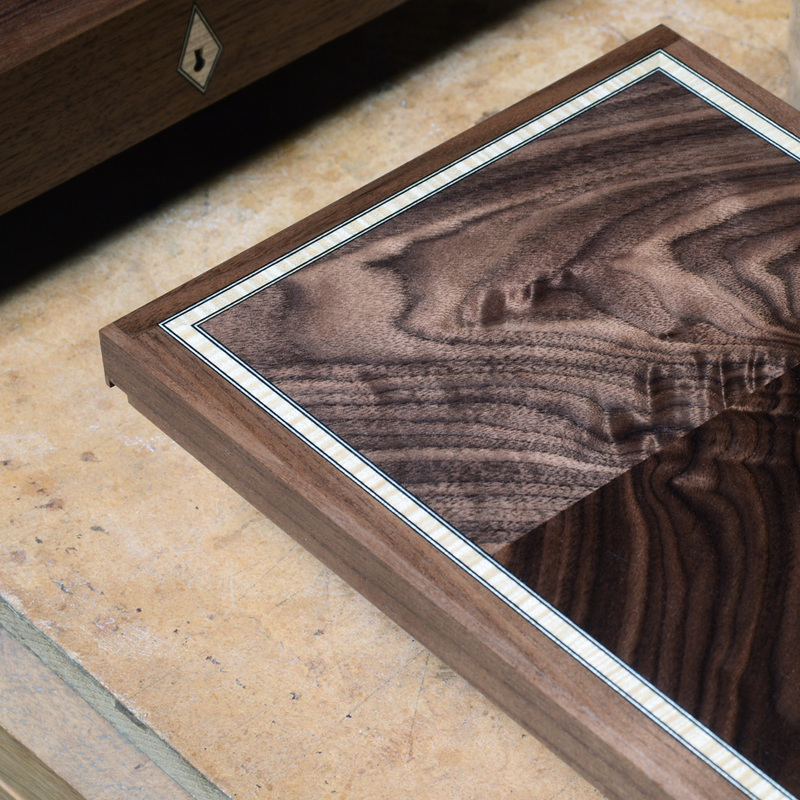 I’ve always made my own inlay lines as I prefer to be in control of every aspect of the boxes I make. 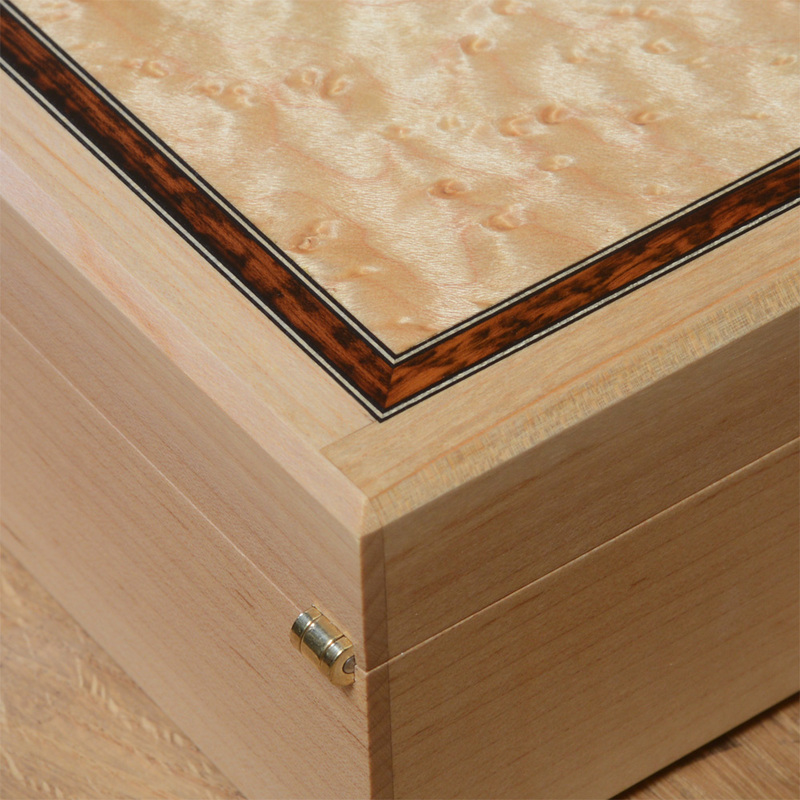 Most commercially available lines are intended for restoration or reproduction furniture and tend to be rather clunky for fine box making. Many feature rather thick black outer lines that often aren’t dyed all the way through, giving them an uneven dirty blue/grey colour. The lines I offer are simple and elegant: a solid core of figured sycamore or snakewood with fine veneer black/white/black outer lines, perfect for boxes and other small scale projects. The range is set to grow – please subscribe to my newsletter for news of new products.